Explore the timeless city of Havana with its crumbling colonial architecture and classic, old American cars lining the picturesque streets. 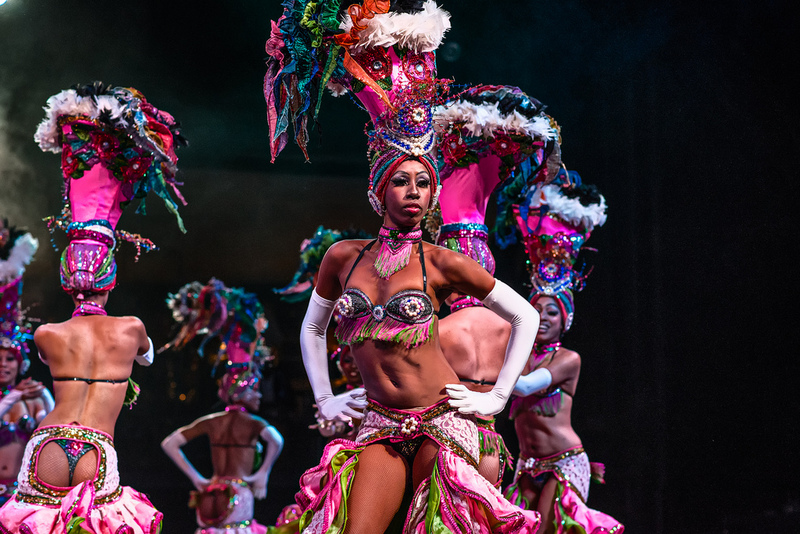 Sip rum while enjoying a first-class cabaret experience at Havana’s Tropicana Cabaret Show, which launched in 1939. Tour the ruins of an old French coffee plantation in the Sierra del Rosario Mountains. Venture into the lush western region of the country to admire the beauty of Viñales Valley. Visit a tobacco plantation and learn the art of cigar production for the famous Havano Cigar. Take a scenic boat ride throughout the Cuevas del Indio (“Indian Caves”). Fly to Isla de la Juventud and have an in-depth look at this truly off-the-beaten path island, including a tour of Modelo Prison, which formerly housed Fidel Castro. Admire the beauty of Peninsula de Zapata and the Bay of Pigs. Stroll the captivating cities of Cienfuegos, Trinidad and Camagüey, all UNESCO World Heritage Sites for their historical qualities. Drive along one of the most beautiful and breathtaking (and least-explored) roads in the entire country from Manzanillo to Santiago de Cuba where we will visit Pilón and Sierra Maestra National Park. Traverse eastern Cuba’s scenic back country on drives to the colonial gems of Guantanamo and Baracoa. Stop for views of Pico Turquino, Cuba’s highest peak, in gorgeous Gran Piedra National Park. Step back in time while exploring the UNESCO-listed 19th century French ruins of La Isabelica Coffee Plantation. Office of Foreign Assets Control (OFAC) permit for U.S. citizens. Day 1 of our Cuba tour is set aside as an arrival day. You will be met at Havana airport and transferred to your hotel for check in. 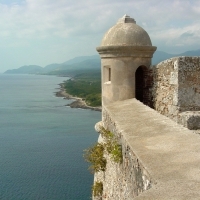 If time permits, we will take a stroll around the town on foot and the scenic Malecón. Dinner at the Hotel Del Tejadillo, which is comprised of three old mansions, where we will overnight. After breakfast the following morning, we will depart on a full day city tour of Old Havana from the Templete, where Havana villa was founded in 1519. 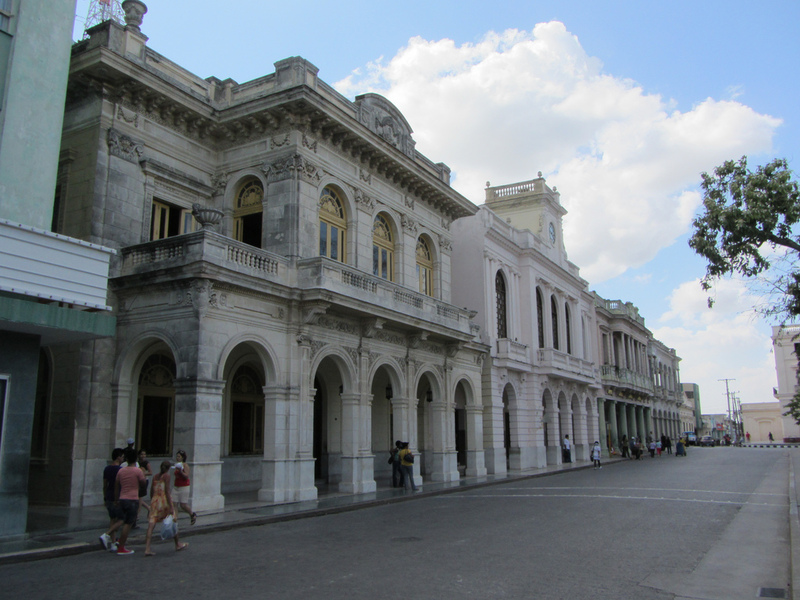 We walk through the Plaza de Armas and all other Squares of Old Havana: San Francisco de Asís Square, the Old Square, and the Cathedral Square. 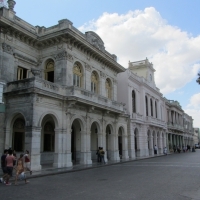 Later, among other places, we will visit the Rum Museum and the Capitanes Generales Museum and the fantastic Museum of the Revolution, which is housed in what was once the Presidential Palace of all Cuban presidents from Mario García Menocal to Fulgencio Batista. Lunch will be at La Bodeguita del Medio, a storied bohemian restaurant in Old Havana from the 40s that lays claim to being the birthplace of the Mojito cocktail. Later we will continue our tour to modern Havana with a couple of hours’ drive around in old American vintage car, first visiting the Plaza de la Revolución, the Colon Cemetery, which was founded in 1876 and noted for its many elaborately sculpted memorials and has more than 500 major mausoleums, chapels, and family vaults, the Vedado area with its amazing Avenues, the University of Havana which dates back to 1728 and is the oldest university in Cuba, and one of the first to be founded in the Americas, La Rampa on 23 Street, the Seaboard, then to Old Havana and to Hotel Nacional de Cuba where we will visit the gardens to enjoy an excellent view over the Seaboard and the Harbor of Havana while enjoying a Mojito cocktail. After a short rest back at our hotel, we will continue to dinner in Castropol Restaurant before proceeding to the world-famous and spectacular cabaret and club, Tropicana Cabaret Show, which launched in 1939 and where we will be treated to first class tickets plus half a bottle of rum, soft drinks, one Havano cigar (if preferred), cold cuts, and a glass of Cava or a sweet Cuban coffee (optional). We begin our day with a trek to the beautiful and lush western region of Cuba, first visiting the Las Terrazas Community Project located in the Sierra del Rosario Mountains. While there we will visit the local community, tour the ruins of an old French coffee plantation and hear about the community’s reforestation project. We will then set off for Pinar del Río, which is located in Cuba’s westernmost province of the same name. Here we will visit the Montesino Cigar Farm where we will see the tobacco plantations and the process of drying the tobacco leaf from where the Havano Cigar is produced and then tour the city and make a trip up to Los Jazmines view point from where you will have an excellent view over the gorgeous sweeping valley. After lunch we will head to the Cuevas del Indio (“Indian Caves”) where we will take a boat ride inside the cave. After a long and varied day of activities, we will have dinner and enjoy the evening in Hotel Los Jasmines in Viñales. This morning of our Cuba tour, we will depart for a walking trek through the valley to learn more about the area, the peasants and farmers who grow the tobacco leaves to produce the Havano cigar, as well as vegetables for daily life. We will also visit the busy farmers’ market before departing for Soroa where we will have lunch and visit the Botanical Garden with hundreds of orchid species and make a walk out to the impressive waterfalls which has a height of about 20m (66ft). We will then have a relaxing return drive to Hotel Soroa in the late afternoon for a stroll around the area and dinner. This morning of our Cuba tour, we will check out of our hotel very early (6am) and head to the Havana Batabano Pier to catch our Catamaran boat to the truly untraveled and least developed corner of Cuba: Isla de la Juventud, which is also known as the Isle of Youth and is the seventh-largest island in the West Indies. Both historically and culturally different to the rest of the Cuban archipelago, this tear-shaped island is truly off-the-beaten-track and will provide us with a fantastic view into a part of the country that is so seldom visited, even by the most intrepid world travelers and where Christopher Columbus happened upon the island in 1494 and Robert Louis Stevenson based Treasure Island, published over 130 years ago. On arrival we will tour the little city of Nueva Gerona, which is couple of decades behind developments on the mainland in look and feel, and then head to a crocodile farm which has played an important role in the conservation and breeding of crocodiles in Cuba that is home to more than 400 crocodiles. Next we will visit the relatively historic and visually-powerful, El Presidio Modelo, which was built between 1926 and 1931 and a former “model prison” of Panopticon design of four, six-story circular blocks with a central watchtower with cells for the prisoners occupying the circumference and which once housed Fidel Castro and the rest of the participant in the attack to Moncada Barrack, who were imprisoned there from October 1953 to May 1955. The prison closed in 1967 and is now considered a national monument. We will then head to El Abra Farm, where José Martí lived before leaving for Spain. In the late afternoon we will set out for a stroll on the brown and black sand beaches of Playa Bibijagua and Playa Paraíso or in our Hotel Colony before heading to dinner at a local restaurant and later to enjoy Cuban traditional music, including the zucuzucu, a Cuban rhythm. Up early for a quick breakfast, we will then head to the small pier of Gerona and return to Havana where we will begin our drive east through the densely vegetated Peninsula de Zapata swamp-lands, and along the beautiful Bay of Pigs. This is where the landing of counter-revolutionary exile militia occurred in 1961. There is a museum here that recounts the events. Later we will stop at a beautiful swimming hole (cenote) which resembles a huge natural tropical fish tank, named Caleta Buena and if the conditions are favorable, at a beach for snorkeling. 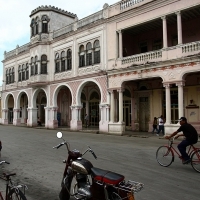 After lunch we will continue on to Cienfuegos to explore its UNESCO World Heritage-listed city center. Day 7: Cienfuegos to Trinidad via Santa Clara. 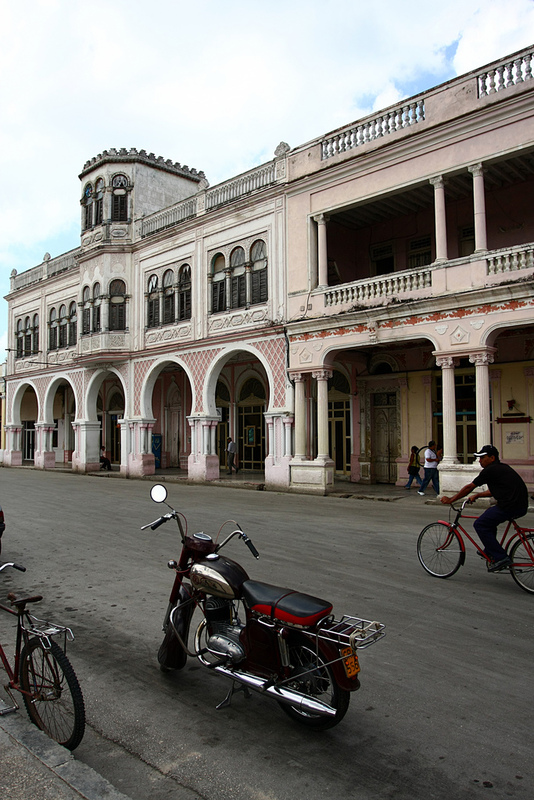 We start our day with a tour around Cienfuegos, which was founded by French settlers who came from Louisiana in 1819. 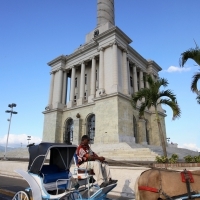 This history gives it an air and architectural style that is distinctive from that of the rest of Cuba. The city appeal lies partly in the European flavor of its colonial heritage, with a wide Parisian-style boulevard and elegant colonnades, and there is an ambiance to inspire Cuba’s most celebrated Son singer Benny Moré to write the words “Cienfuegos is the city I like best”. Visit the Martí Park, the Terry Theater, the Alameda (Central Park), the Seaboard (one of the prettiest bays in Cuba), and the visit the Palacio del Valle. Later we will continue to Santa Clara for lunch and a visit to the Che Memorial at the Square Che Guevara, which houses the remains of executed Marxist revolutionary Ernesto “Che” Guevara and twenty-nine of his fellow combatants killed in 1967. From here we will head to the Monument to the Derail Armored Train, a key action that helped Che Guevara win the Santa Clara battle against the Batista dictatorship in 1958, and the Parque Vidal and its surrounding elements conformed eclectic, neo classic and colonial buildings. Continuing on, we will make our final drive of the day over to Trinidad where we will visit Casa de la Trova before spending the night in Trinidad. Today we begin our Cuba tour with a comprehensive tour of Trinidad, a stunning UNESCO-listed city that was established by the Spaniards in 1514 and was once a very wealthy city owing to its sugar cane cultivation. It is lined with cobblestone streets, beautiful Spanish churches, grand old mansions and colorful houses. Almost every corner of Trinidad is photogenic and captivating – from locals casually smoking their huge cigars on the doorsteps of their homes to old Chevrolet’s cruising by. Not far from Trinidad, we will visit Manaca Iznaga, where there is an old estate and a 45m tower, built by one of the most successful sugar planters in Cuba, Alejo María del Carmen e Iznaga. You can climb the wooden staircase to one of the tower’s seven levels for views of the entire valley, a patchwork of sugar-cane fields, wooded countryside and farmland dotted with palm trees and the odd house. Later we will view the production of Sugar Cane Juicy from the Sugar Cane before continuing on to Sancti Spiritu, which is Latin for “Holy Spirit” and is one of the oldest (1500s) Cuban-European settlements. Relatively tourist-free, the town holds several interesting sights including the church and picturesque houses on Calle El Llano, as well the Puente Yayayo Bridge – all of which are national monuments. Finally, we press on to the beautiful city of Camagüey where we will have dinner and a free evening to stroll before our tour of the city tomorrow. 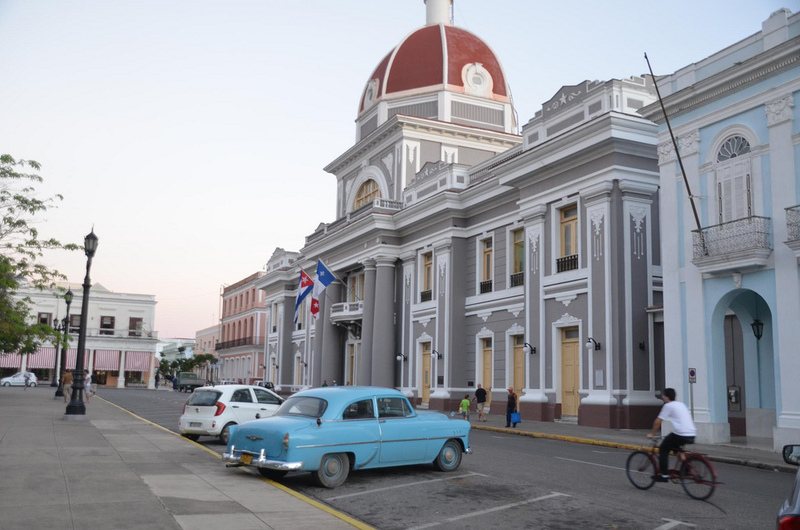 We start our day with a tour of the incredibly photogenic and colorful city of Camagüey, a UNESCO World Heritage Site and Cuba’s third-largest city. We will visit the historical center, which has adopted numerous architectural styles through the years, from neoclassical, eclectic, Art Deco, Neo-colonial as well as some Art Nouveau; the Agramonte Square, one of Camagüey’s main meeting points, with an impressive equestrian statue of Ignacio Agramonte at the center; the Museo Provincial Ignacio Agramonte, as well as the main church and experience the Bici Taxi, a three-wheeled pedal powered taxi, which is a way of transportation in the city. After a filling lunch we then carry on to Bayamo, the city that started the Cuban independence and the place the national anthem was first sung. 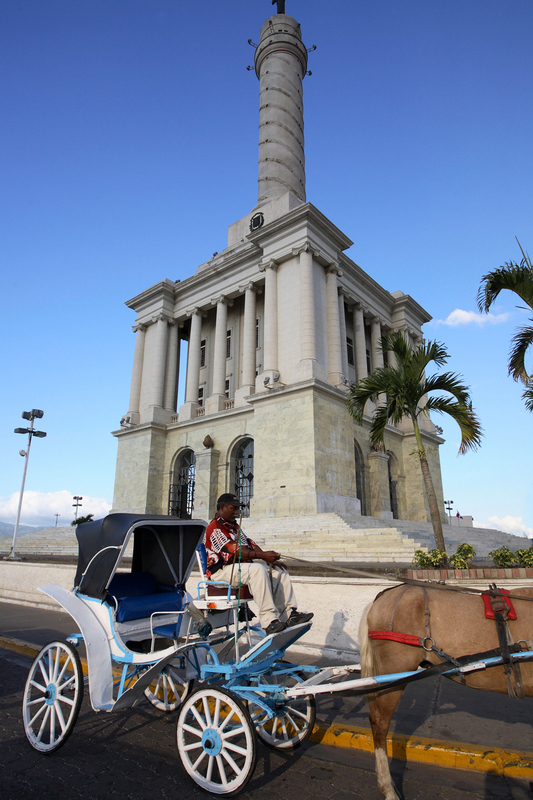 Bayamo is a feast for the eyes as it appears truly trapped-in-time with locals going about their day on horse carts! 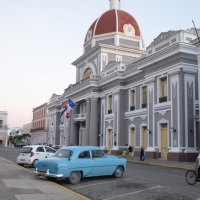 We will tour the historical center of Bayamo, including Carlos Manuel de Céspedes Park, which is dedicated to the man of the same name who freed his slaves and made the declaration of Cuban independence in 1868; the Nationality Museum, and the house of Carlos Manuel de Céspedes. Later we will continue to Manzanillo for a look around and dinner. 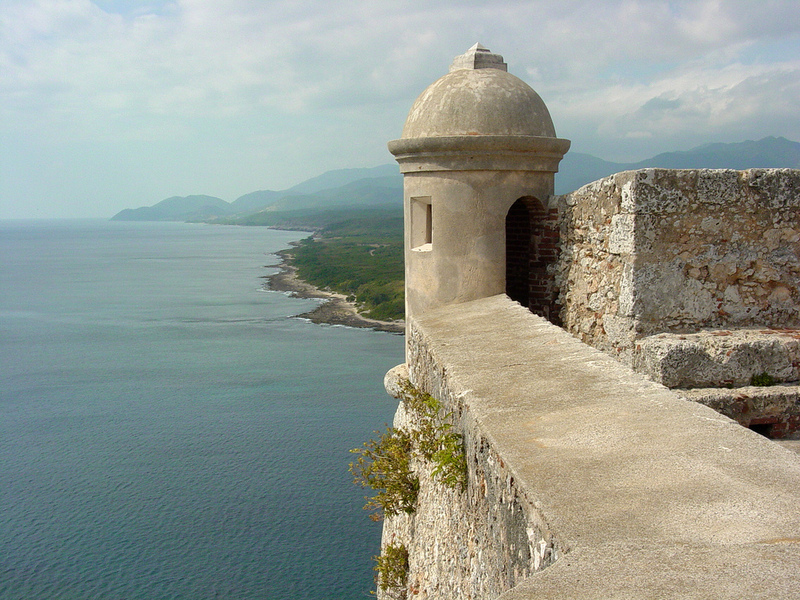 This morning of our Cuba tour, we will explore the scenic historical core of Manzanillo before embarking on one of the least-known, but most beautiful, drives in the entire country to Santiago de Cuba via Pilón on the gorgeous coastal Highways 4 and 20. The road can certainly be challenging at moments, but the views and uniqueness of the routing is sure to make up for any rough road along the way. Our first stop on our journey will be in Pilón, where we will stroll this small city before continuing our final 200km leg of this breathtaking drive through Sierra Maestra National Park and the sea coast to Santiago de Cuba. After a relaxing lunch on arrival, we will set out to visit some of the wonders of Santiago de Cuba, where more than half the cars on the road are still from the late 40s and 50s, including visiting the Moncada Barrack Museum, the Piracy Museum at the Morro Fortress, the Rum Museum of Santiago de Cuba, the Céspedes Park, the Diego Velásquez House, and the Casa de la Trova Santiaguera before enjoying dinner and the evening in Santiago de Cuba. Another fantastic day of our Cuba tour will be spent exploring the back country of Cuba is ahead as we set off after breakfast for the city of Guantanamo, some 175km from Santiago de Cuba through some stunning rural scenery. We will take some time in Guantanamo City to stroll the large, clean, historic town with a pleasant plaza and historical center, where we can, admiring its many colonial buildings and statues. Later we will continue on for roughly two hours to Baracoa, the first villa founded by Christopher Columbus in Cuba, and visit the historical center; the Matachin Museum; the Church Primada de Cuba, and the Casa del Changui. After a long and very interesting and beautiful day on the road, we will have some free time to explore this pleasant city on our own, or to relax in our hotel before dinner. Today we begin our drive back to Santiago de Cuba where we will first stop at Gran Piedra National Park, which is a gorgeous park in the heart of the magnificent Sierra Maestra mountain range, and contains Pico Turquino, Cuba’s highest peak. You’ll find an array of endemic species here, including birds such as Carta Cuba, Tocororo and Zunzun. This park contains many sites of historical interest, such as La Plata, which served as Fidel Castro’s headquarters in the late 1950s. We will have lunch within the park and visit various points for sweeping views. Continuing on we will visit the 19th century French ruins of La Isabelica Coffee Plantation, which is was recently included in UNESCO’s list as a World Heritage Sites. We will also stop to see Granjita de Siboney, which is a red-and-white farmhouse where 26 cars under the command of Fidel Castro departed early on the morning July 26, 1953 to attack the military barracks in Santiago de Cuba. We will have a farewell dinner with our fellow travelers and have the rest of our final evening in Cuba at leisure. After breakfast and some last minute sightseeing, we will end our amazing Cuba tour and will be escorted to the airport for your departure flight to your country.